In 2008 Dr Hannah Piterman published the results of a comprehensive study, the objective of which was to explore unconscious and subtle inhibitors to the positive experience and full utilisation of women in executive and management positions. The progression of professional women into positions of leadership has been slow. Women are finding it more difficult to rise to positions of leadership in environments that are highly male-dominated, irrespective of the sector of employment. This is despite there being a strong business case for enhancing the contribution of executive women to the achievement of organisational objectives. Dr Piterman writes in her Preface to the book: ?…..following the Global Financial Crisis, the situation has become even bleaker…..The unconscious biases at the heart of women’s lack of progress remain with us, and the findings of my research remain, unfortunately, as relevant today. 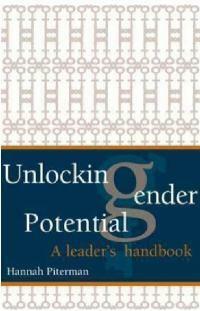 ?By publishing the findings in Unlocking Gender Potential, it is hoped that there will be a wider appreciation of implicit barriers to women’s career development and retention, and that the organisations will engage with the diversity agenda in Australia. Dr Hannah Piterman is an adviser and coach to senior management and boards in the areas of board performance, leadership development and gender diversity. She draws on over 20 years of experience in executive development, research and consulting to an eclectic client base that includes public and private organisations. She is the author of numerous articles and reports and contributes to public debate in academic journals, the print media and as a presenter at business forums in Australia and internationally. She maintains academic links through her appointment as an adjunct Associate Professor at Monash University, Melbourne.